No salary history? No problem. 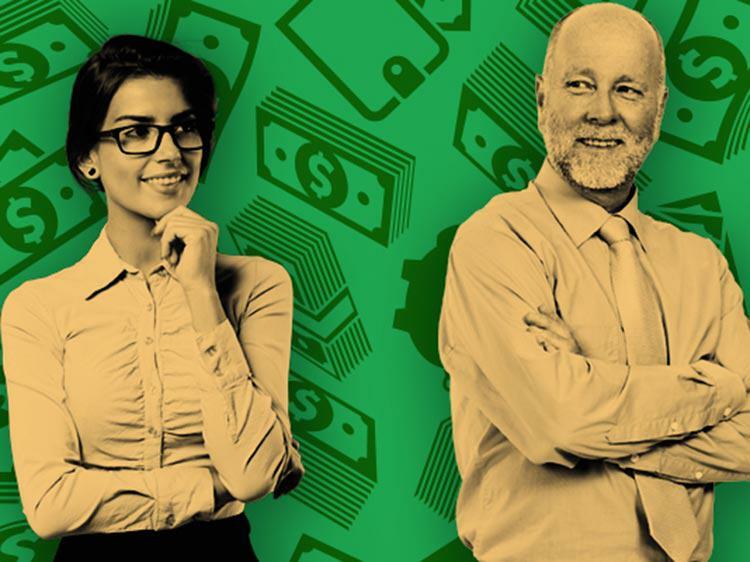 When you’re fresh out of college or early in your career, negotiating your first salary can feel like you’re trying to hit a moving target—blindfolded. First, you don’t have any personal salary history to start from. Second, most companies don’t publish their employees’ salary information. And, third, odds are, none of your college courses covered what you can expect to earn at your first job. Basically, you have none of the advantages of seasoned workers, but all of the insecurities of a new job seeker. Don’t sweat it. Use this step-by-step guide to determine how much you should get paid. Follow these moves and you may even squeeze out a slightly higher paycheck than what you expected. There’s no magic formula that will give you the perfect number, but you can start with online resources. Make sure to look at least three websites, since research methods can vary, says Lewis Lin, author of Five Minutes to a Higher Salary: Over 60 Brilliant Salary Negotiation Scripts for Getting More. Try Payscale.com, Salary.com and SalaryExpert.com—as well as Monster’s salary search tool. Enter the job title or field and location, and you’ll be given a rough idea. Also check out the Bureau of Labor Statistics’s Occupational Outlook Handbook, which includes median pay estimates for hundreds of jobs. You may need to adjust your salary expectations based on where you live. For example, BLS data shows that a registered nurse in New York earns on average salary of $78,950, compared to $56,980 in Mississippi, which has a lower cost-of-living index. Online research is a good first step, but the best way to get salary information about a particular company or industry is to go right to the source. That means setting up informational interviews with hiring managers and employees to get a better sense of what entry-level workers get paid. Granted, “some people feel cagey sharing internal compensation information,” says Lin. If that’s the case, ask the employee to talk generally about what entry-level workers earn in the field. Continue your fact-finding mission by joining professional associations. “Oftentimes, industry groups have their own data that shows what workers in that profession make,” says Phyllis Hartman, a national panelist for the Society for Human Resource Management. You’ll also benefit by making valuable connections with people who can potentially help you get a job. Ideally you’ll find a local, low-cost association that’s specific to your industry; general networking groups likely won’t give you much insight into salary information for your field. Still on a college student’s budget? Look for professional groups with no membership fees on MeetUp.com. You’ve done the legwork, but what good is having all this salary intel if you don’t know how to use it? Let’s fast-forward to the point where you’ve aced the interview process and received a job offer. (Nice work!) Even if you’ve been offered a good salary, you should ask for more—your future earning potential depends on it. Sadly, only 38% of new college graduates surveyed by NerdWallet said they negotiated with their employers upon receiving a job offer. “If you support your [salary] request with good evidence, bring a strong set of skills and the money is available, you’ll get the higher salary,” says Pinkley. If there’s no room in the budget for the hiring manager to boost your salary, look for other ways to sweeten your compensation package. For example, 76% of employers offer sign-on bonus programs, according to a July WorldatWork report. Although a sign-on bonus is a one-off pay boost, it can help you make up for taking a lower salary. While you’re negotiating, you could also ask for non-financial perks, says Lin, such as more vacation time or having the option to telecommute one day a week. Indeed, eight in 10 employers offer some form of flexible work, a recent Trends in Workplace Flexibility survey found.